Leute, it has been a beautiful journey, but even the monsoon has its season, and must pass in time. As Die Toten Hosen say, alles wird vorübergehen. 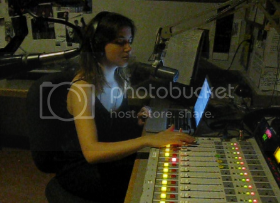 I graduated from Whitman College on Sunday, May 20, 2012, and with this milestone, the Midnight Monsoon has also ended its time at KWCW 90.5 FM. In preparation for graduation, I put together two theme shows: one focusing on endings and beginnings for May 13, and one centered around songs about Berlin for May 20. Happily, I am headed back to that beautiful city shortly to take part in the DAAD “internXchange” journalism training and internship program! 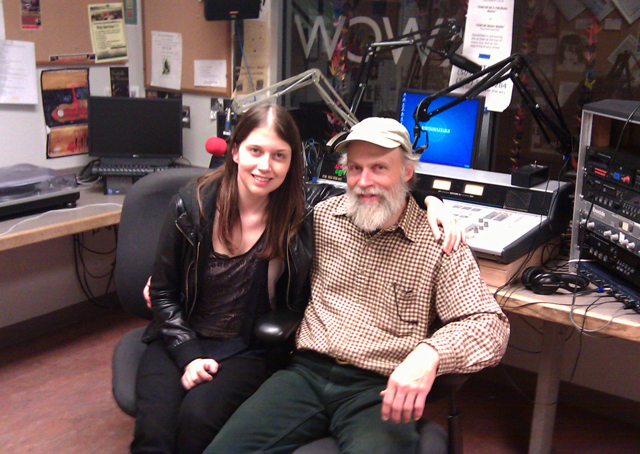 For the very final broadcast and Berlin theme show, I was joined by my father in studio, who is also a longterm volunteer DJ and raised me in the radio tradition. It was a special moment for the Monsoon and for me personally, adding to my excitement in sharing songs about my favorite metropolis. Check out the show recording below! Although the Monsoon is moving on, I will continue to update this blog with German music news and concert adventures! Let’s keep the music love alive together. Macht’s gut, liebe Listeners! ← Scrumptious smorgasbord of new music! Es ist das erste Mal daß ich die Möglickeit gefunden habe etwas von deiner Midnight Monsoon Ausstrahlung zu hören, obwohl es auch die Letzte war. Respekt für dich ! Ich bewundere junge Leute die begeistert sind von etwas und Mühe und vielleicht manchal auch Risiko’s nehmen um ihre Ziele zu erreichen. Und die letzte Ausstrahlung hast du mit Klasse geendet mit Tokio Hotel’s Monsoon 🙂 ! Meine Gratulierungen mit deiner Graduation, und viel Spaß bei die Vorbereitungen für dein neues Berlin Abenteuer !